Green Lawn Abbey is unquestionably an amazingly beautiful building. But the Abbey also represents a community of people who care deeply about this place and are passionately devoted to its preservation and its legacy. 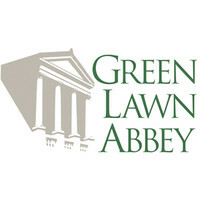 Two organizations have come into being to preserve and promote Green Lawn Abbey. The property is owned the Columbus Cemetery Association (CCA). Formed in 1929, CCA is an all volunteer board comprised of professionals in the fields of architecture, preservation, and law. In 2008, the Green Lawn Abbey Preservation Association (GLAPA) was formed to raise awareness of this amazing place and raise the much-needed monies for restoration. GLAPA enjoys a significant following on social media and issues a regular newsletter. It has been enormously successful in pursuit of its mission. Join the ranks of Green Lawn Abbey devotees. Click on the link below and register for notices about upcoming events and activities.